Before we bought the Pajero we had a Rav 4. 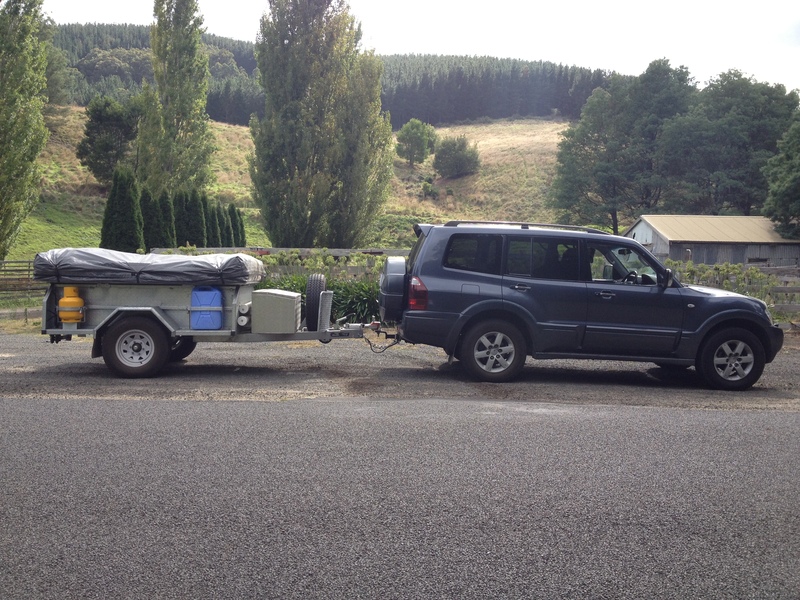 It was a great car and Em loved it, but its V6 petrol engine just chewed through fuel whenever we were towing our camper trailer. It was not going to be economical to drive it thirty thousand odd kilometers around Australia. We decided to upgrade and looked around the second hand market to see what was available. We ended up with a 2006 diesel Mitsubishi Pajero Exceed. We were happy to go with the top model Exceed as it came with more safety features. However once we looked into doing some more upgrades we found that all the other luxury features caused some problems. The sat nav system can no longer be upgraded due to the programming company going out of business. Aparently the programing language is not used by anyone else and the whole stereo/central unit is obsolete. The seat heating (which we don’t need here in Australia) and the electrically adjustable seats means there’s a whole heap of extra cabelling and wire harness that gets in the way. The washers for the headlights take up space for the both the controls and the larger wash bottle. This is also restricting the choice of bulbar that can be fitted. It’s definitely not a nippy little town car. Driving around supermarket car park feels like trying to steer a ship sometimes! But that wasn’t on our list of priorities when we bought it. On the plus side, our second hand car came with extra wiring already installed for a duel battery to be run in the trailer and has had suspension lifted.